Several people have commented that I've been a little MIA on the blog recently. While this is true, it doesn't mean I haven't been busy in the kitchen OR blogging. As many of you know, I write for the website, tablespoon.com a couple times a month. It's a fun collaboration because they solicit ideas from all of their bloggers, and then assign posts for each month. It ends up being a fun blend of my ideas and theirs. For example, this Apple Pie "Moonshine" is DELICIOUS. Perfect for a fall get together or just because. Here's the link to the post, and I've also included some links below to some of my other recent Tablespoon treats! Jamaican Rum Punch: September 20th was Rum Punch Day, so I created this festive Jamaican Rum Punch. You can use whatever types of juice and rum you like as long as you remember the rules: 1 part sour, 2 parts sweet, 3 parts strong, 4 parts weak! Click here for the recipe. 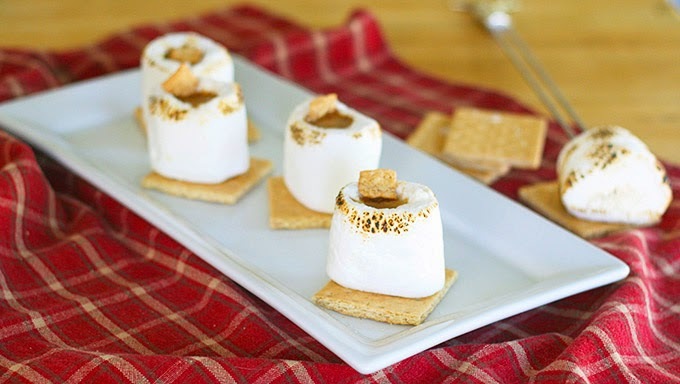 S'mores Marshmallow Jelly Shots: If you're sensing an alcohol theme, you would be correct. That's sort of my specialty on Tablespoon, especially when it comes to jelly shots. Here, I made a s'mores jelly shot INSIDE of a jumbo marshmallow. Click here for the recipe. 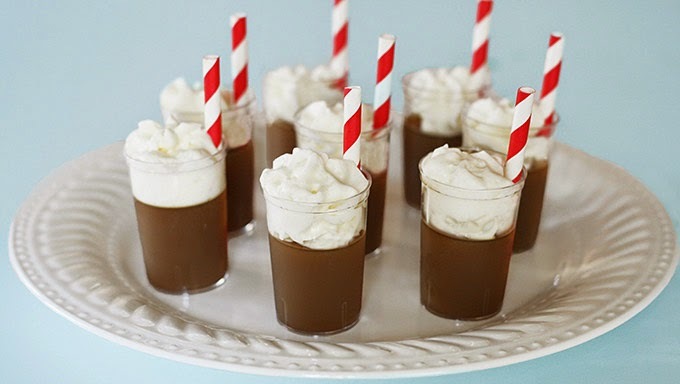 Rootbeer Float Jelly Shots: Guess what... more jelly shots! These one combine all the flavors of a rootbeer float in jelly shot form! Complete with adorable mini striped straws to help dislodge the shots. Click here for the recipe! 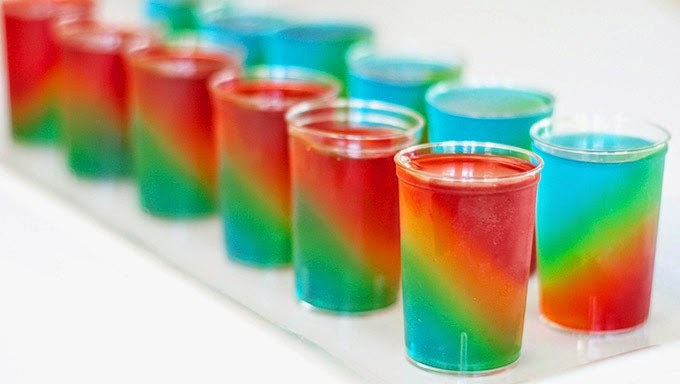 Slanted Rainbow Jelly Shots: These shots are fun and playful and a new twist on a rainbow jelly shot. Tipsy and terrific! Click here for the recipe. 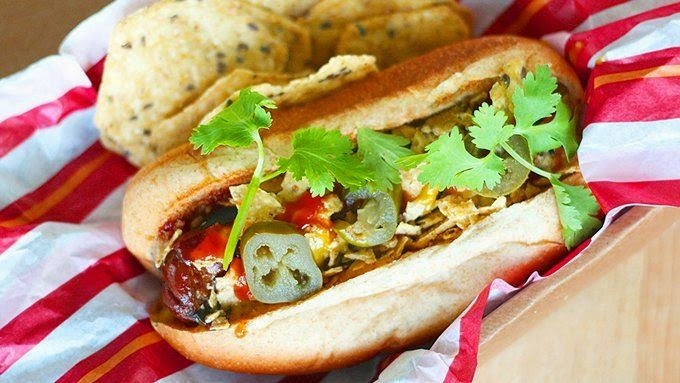 Vietnamese-Inspired Hot Dogs: Of course, I don't *always* make boozy concoctions. Heres an easy and delicious recipe for Vietnamese-Inspired Hot Dogs, inspired by a recent trip to NYC. Click here for the recipe.